Human weaponry has always been as much about strength as it has efficiency. Though smaller, more manageable sizes have always been available, man tends to desire might over elegance. Terran Alliance weapons tend to be bulky, heavy, but reliable. They are most often made of steel alloys or sturdy synthetic materials. Humans enjoy displaying their weaponry as well, so often their arsenal is as much intimidating as it is useful. SINGLE SHOT WEAPONS- SOME WEAPONS MAY ONLY FIRE ONE SHOT PER ROUND, NO MATTER HOW MANY TIMES THE USER SPLITS UP THEIR ACTIONS. WEAPONS SUCH AS ROCKET LAUNCHERS AND PLASMA CANNONS CAN ONLY BE FIRED ONCE PER ROUND. SEMI-AUTOMATIC WEAPONS-ALL PISTOLS ARE CONSIDERED TO BE SEMI-AUTOMATIC UNLESS OTHERWISE NOTED. SEMI-AUTOMATIC WEAPONS MAY FIRE MORE THAN ONCE PER ROUND, BUT DO NOT HAVE THE BURST FIRE, FULL-AUTO OR SWEEP OPTION. BURST FIRE- ONLY CARBINES AND RIFLES HAVE THIS CAPABILITY. BURST FIRE EXPENDS 3 SHOTS PER BLAST AND IS ALREADY FACTORED INTO DAMAGE ROLLS. USING A SINGLE SHOT WITH A BURST WEAPON (BURST FIRE AS SINGLE): A CHARACTER MAY PERFORM THIS ATTACK WITH CARBINES AND ASSAULT RIFLES BY SWITCHING TO SINGLE FIRE. THE USER FIRES ONLY ONE SHOT INSTEAD OF A BURST, BUT TAKES A PENALTY IN WEAPON DAMAGE. THIS OPTION IS OFTEN USED TO CONSERVE AMMUNITION. 1 Readily available throughout the known galaxy. 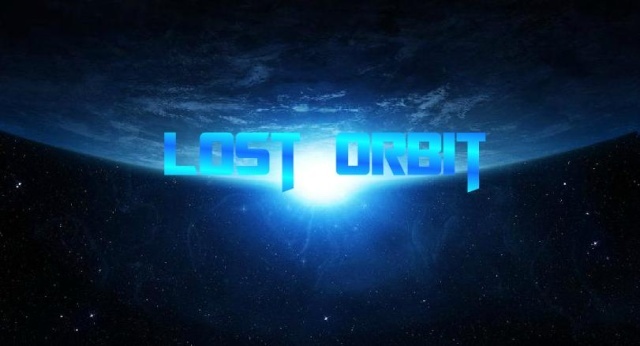 the item's planet of origin. 4 Rare item, difficult to obtain anywhere. Man has always obsessed over the tools of war, and there is no better choice than the ranged weapon. From early rocks to bows, the advantages of ranged fighting has kept humans at the height of their power. While times have changed, the idea has not. Black powered guns were merely replaced with energy firearms, and the laser blaster, earliest of these creations, reigned supreme for nearly a century until the creation of plasma weapons. Using highly focused light, laser weapons burn through material with extreme heat. The blast emission moves at the speed of light and is nearly impossible to avoid. The laser holdout pistol is a small, concealable firearm that was manufactured for self-defense. The weapon is small enough to keep in a coat pocket or purse without being seen and can hold up to 25 shots before its interchangeable battery back must be replaced. Many holdout laser pistols come with docking stations for the weapon battery to be recharged in, though the process takes 4-6 hours before ready again. The light laser pistol was once the standard sidearm for T.A.F. infantrymen until the invention of plasma weapons. Its high ammunition count (100) and light load made the firearm ideal for explorers, common security guards and patrolling law enforcement. Though the weapon’s range is far more limited then the heavy laser pistol, it is still quite beneficial when combating enemies indoors. 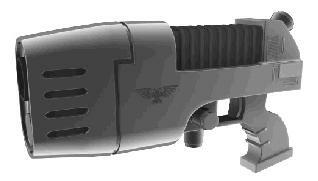 The heavy laser pistol is a specially modified firearm used for heavy law enforcement and military forces. Its design allows the heavy laser pistol to focus more energy at blistering temperatures, melting away armor or protective cover. Since the heavy pistol does demand more energy, it does not hold as many shots as the light laser pistol, topping out at 50 shots per battery back. The Laser Carbine has slowly been replaced by the plasma carbine which adds a tad more punch. Nonetheless, its automatic capabilities allow it to rapidly fire while not hindering its user with size or weight. The Laser Carbine is often used in ship-to-ship battle, when space is limited. Many basic security units use the Laser Carbine, including private security forces. This weapon is considered to be burst firing (3 shots per use) unless used in full-auto or sweep mode. The Laser Rifle has all of the advantages of regular laser weapons, but added range and rate of fire. Laser Rifles can shoot nearly 1.6 kilometers away effectively or discharge a volley of bolts within a matter of seconds. The Laser Rifle was once the standard main weapon of the T.A.F. infantry until the creation of plasma weapons. This weapon is considered to be burst firing (3 shots per use) unless used in full-auto or sweep mode. The Heavy Laser Rifle was the zenith of weaponry during the 22nd century. Its long range capabilities (3 kilometers) made it perfect for picking off targets from afar, and more often then not, a scope was added for effectiveness. The weapon also had a high rate of fire and could be switched to full-auto mode in order to decimate a battlefield. More importantly, until plasma weapons came out, the Heavy Laser Rifle was the most destructive hand held weapon in the galaxy, emitting extreme heats that could melt metal within a fraction of a second. This weapon can be used in semi-automatic mode without the "single fire as multi" penalty. This weapon is considered to be burst firing (3 shots per use) unless used to fire one shot or in full-auto or sweep mode. The Laser Sniper Rifle is a heavy laser rifle that was converted on the battlefield in order to pick off single targets and vehicles. Unlike a typical laser rifle, the Laser Sniper Rifle only has a single fire option. However, due to modifications in the charge pack, the Laser Sniper Rifle only takes a -1D to the damage modifier (already calculated in below stats) instead of the typical -2D that a normal burst fire laser rifle would. The Laser Sniper Rifle also has a better close and medium range capability, as well as a scope that cancels 5 points of penalty modifiers for range (also already calculated in below stats). The Laser Sniper Rifle comes with a standard scope, but can be upgraded to an Infravision or Ultravision scope for an additional 500 capital. A plasma weapon is a firearm designed to use plasma (high-energy ionized gas) as a weapon. The plasma is triggered by an internal super-frequency device that charges the molecules inside. The weapon is not only lethal, causing death by serious burns, but has been known to completely melt off target’s limbs instantly. The plasma weapon is the Milky Way’s most popular weapon of choice, replacing the laser rifle in the early 23rd century. While it typically has less ammunition due to its demanding energy needs, it is far more effective then any other firearm invented by Terran hands. 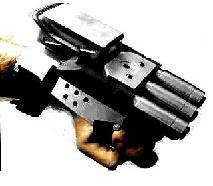 The Hold-out Plasma Pistol is a compact form of the Light Plasma Pistol, designed for self defense. It is light weight and can easily be hidden in clothing. The Plasma Pistol only has 10 shots before its miniature gas cartridge must be replaced. 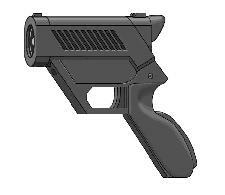 Most Plasma Pistols can be programmed with palm-recognition sensors so that the firearm can not be turned against its user by assailants. 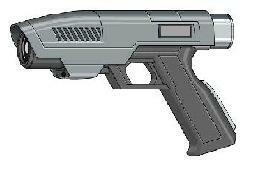 The Light Plasma Pistol is the current sidearm of the T.A.F. Armed Forces, Prometheus Security and House of Veneration Honor Guard. Its sturdy, lightweight design makes the weapon ideal for traveling law officers and soldiers. 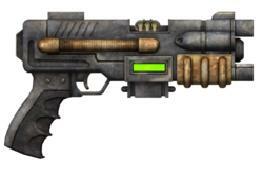 The Light Plasma Pistol can carry 25 shots before its gas cartridge must be replaced. The Wrist-Action Plasma Pistol is an off-shoot of the Light Plasma Pistol with a durable arm harness for easy use. It allows the user to still pilot a vehicle, carry out intense athletic exercises or anything else that might require a free hand. The weapon can either be fired by voice command or through a trigger that activates when flexing the bicep or fingers. Otherwise, the Wrist-Action Plasma Pistol is exactly like the Light Plasma Pistol in every way. 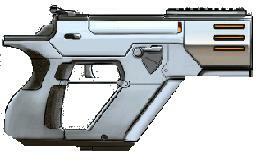 The Heavy Plasma Pistol is the deadliest of the Terran made pistols. It can char targets from medium rifle ranges with ease, making it the number one killer of homicide victims within the Milky Way. 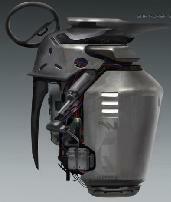 The Heavy Plasma Pistol can carry 25 shots before its gas cylinder must be changed out. It is the sidearm of choice for the Empyrean Legion. The Plasma Carbine is the perfect combination of size and speed. Its automatic capabilities allow it to rapidly fire while not hindering its user with size or weight. 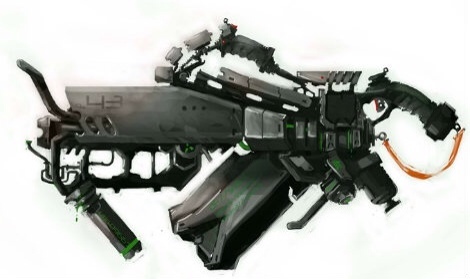 The Plasma Carbine is often used in ship-to-ship battle, when space is limited, but fire power is essential. Many basic security units use the Plasma Carbine for public assignments, including the Helios 13 Police Force. This weapon is considered to be burst firing (3 shots per use) unless used in full-auto or sweep mode. The Plasma Rifle is the T.A.F. Infantry’s weapon of choice. Its durable structure, fire power and range make it ideal for soldiers in dangerous territory. It can fire a single shot or a rapid succession. Plasma rifles have 50 shots before their gas cylinders must be changed out. This weapon is considered to be burst firing (3 shots per use) unless used in full-auto or sweep mode. Heavy Plasma Rifles combine max power, speed and distance into one weapon. It has a longer, more effective range than the standard Plasma Rifle, but can expend more energy from its shots by adding additional gas. This “military only” weapon is only found in the hands of licensed users and is highly illegal elsewhere. Most Heavy Plasma Rifles are built with gyrostabilization equipment a telescopic sight. This weapon can be used in semi-automatic mode without the "single fire as multi" penalty. This weapon is considered to be burst firing (3 shots per use) unless used to fire one shot or in full-auto or sweep mode. The Plasma Cannon is the answer when you’re outnumbered, fighting vehicles or just out of options. It fires large blasts of super-heated gas in a massive bundle, melting ship metal, tank armor or droids. Plasma Cannons can only fire single shots and take a few moments to cool down after shooting. Plasma Cannons are highly illegal unless you are a licensed user and are a hot commodity on the black market. This weapon is a single shot weapon and can not be fired more than once per round. From slug throwers to pulse blasters, special ranged weapons are the odds and ends that make firearms fascinating. Most often, special range weapons are used for specific people or specific situations. Otherwise they are kept on the ship or the bottom of a backpack until then. An electromagnetic pulse pistol (or “pulse pistol” for short) emits a burst of electromagnetic radiation. The abrupt pulse of electromagnetic radiation results from a high fluctuating magnetic field within the ammunition of the gun. The result is a rapidly-changing magnetic current that damages electronic equipment with a voltage surge. Pulse pistols are usually used to short circuit drones and robots. During the Prometheus droid uprising, they were a key firearm in fighting off the rogue AI’s. 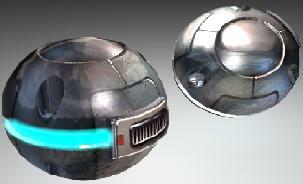 It's relatively bulky, low in ammo and only does stun damage against living creatures (can not go past Incapacitated). The pulse carbine is a compact, rapid fire weapon that emits a burst of electromagnetic radiation. It was constructed during the Prometheus crisis to help defend again uprising droids. The pulse carbine has the ability of automatic fire, but can only hold a limited amount of pulse ammunition. The bulky shells incorporate a small battery which delivers a burst of high voltage. This weapon is considered to be burst firing (3 shots per use) unless used in full-auto or sweep mode. 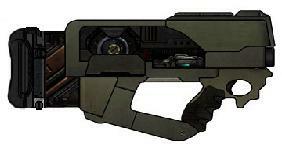 The pulse rifle is an automatic weapon used primarily during the Prometheus crisis, when droids were attacking civilians. This highly powerful voltage firearm was the main option to help defend humanity from the devious robots. The pulse rifle holds more ammunition then both the pistol and carbine, but is very heavy and with limited range. It has been known to short circuit not only robots, but small vehicles like hover-bikes and mech-armor. This weapon is considered to be burst firing (3 shots per use) unless used in full-auto or sweep mode. The Subsonic Rifle is primarily used by the “Ice Hounds” Special Forces unit. It is highly illegal otherwise. The weapon emits an extremely high-power sound wave that destroys brain activity of living targets. If the target survives, it can still cause severe pain or disorientation. The rifle uses an electric battery to charge a single bolt of energy. Only the target can hear the sharp blast of sound before suffering a grizzly death. The Subsonic Rifle has been accused of being an inhumane method of disposal, but so far no efforts have been successful in prying the rifle away from the Ice Hounds. This weapon is considered a single shot weapon, but has full-auto capabilities. The Gyrojet Pistol is a special expansion of the traditional slug thrower. It fires miniature rockets that are propelled by a reactive alkaline fuel and explode upon impact. The Gyrojet packs more punch then a regular slug throwing pistol, but is far less stable. Its ammunition is at high risk of exploding on the user if damaged. Gyrojet weapons were highly used before the creation of laser weapons, but are seen as more of an antique nowadays. The Gyrojet Sport Rifle is a long ranged weapon favored by many professional big game hunters. It uses larger caliber gyrojet rockets to deliver excruciating damage to its target from afar. The Gyrojet is usually buit with an imaging scope and sturdy shock pad. This weapon is considered a semi-automatic weapon and does not have burst fire, full-auto or sweep capabilites. The Gyrojet Assault Rifle is an automatic weapon that delivers a rapid amount of miniature gyrojet rockets at rapid speeds. It was once designed for Special Forces teams before the creation of laser weapons. The Gyrojet Assault Rifle can be highly dangerous to its user, as a misfire can detonate any remaining ammunition inside the weapon’s clip. The weapon is also very heavy with a strong kick that makes it difficult to hone in on targets. This weapon is considered to be burst firing (3 shots per use) unless used in full-auto or sweep mode. The Black Powdered Pistol (more often known as “Slug-Pistol”) is the original sidearm of Humans. It’s a heavy weighted handgun that holds actual cartridges of metal which are propelled by exploding gun power. The Black Powdered pistol is nearly ineffective against most modern armors and is thought to be nothing more than a collector’s item for enthusiasts. Nonetheless, the Black Powdered Pistol can still be found in outdated space ports or lost compounds and are more often then not better to have then nothing at all. The Black Powdered Assault Rifle (more often known as “Slug-Rifle”) is the original rapid fire ranged weapon for Humans. Its bulky mass and ammunition cartridge makes for a burden when carrying long distances. The Black Rifle also lets out large emissions of gas which place the user off center when targeting. It is no longer employed by any known militaries, but at one time, the main armament of military forces around the world. This weapon is considered to be burst firing (3 shots per use) unless used in full-auto or sweep mode. A rocket launcher is a device that launches a rocket-propelled projectile at its target. The rocket is usually packed with high explosive materials that cause massive damage to a targeted area. The rocket was once an anti-vehicle weapon that helped early soldiers defend themselves against tanks, aircrafts and armored drones. Nowadays, the hefty weapon is seen as outdated, replaced many times over by more controllable area destructive artillery. The rocket launcher is considered a single shot weapon and can only be fired once per round no matter how many times the user splits their actions. The MV-Phoenix is a chemical flamethrower, which projects and ignites a stream of a volatile, semi-liquid fuel. They are generally used to rapidly clear away heavy foliage for in-theater construction projects and to destroy new or persistent growth from emplacements and/or hardened military assets. The MV-Phoenix has a built in failsafe system that stops the weapon firing when it reaches a certain temperature. A railgun is an electrically powered electromagnetic projectile launcher based on similar principles to a homopolar motor. A railgun comprises a pair of parallel conducting rails, along which a sliding armature is accelerated by the electromagnetic effects of a current that flows down one rail, into the armature and then back along the other rail. A railgun requires a pulsed, direct current power supply to fire its metallic projectile as well as routine maintenance to operate. However, the effects of a rail-gun can be quite immense. 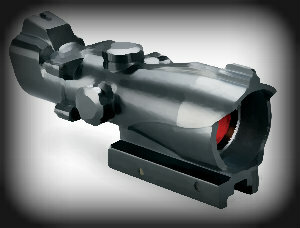 Rail-Guns come with a standard scope. Rail-Guns use the firearms skill (not energy weapons) to operate. Most muscle-powered weapons are melee weapons. The below weapons require a melee combat skill to use without penalty. Some weapons, as noted, allow the user to attack from two squares away instead of one with a +5 penalty added to their target difficulty. Edged or Piercing weapons only deal half damage when used to bludgeon instead of cut. 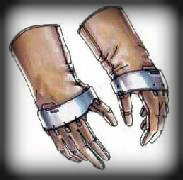 Shock Combat Gloves can be fashioned to look like any type of gloves (stylish leather, white cloth, etc.) and are a great defensive weapons for the average person walking home alone. By clicking the activation button (1 action) these gloves become charged with electric energy able to deliver a jolt of stun damage to anyone foolish enough to get to close to the user. Shock Combat Gloves are sold with a recharging port that can re-power the items within an hour. The Knife (also known as the dagger) is a short, handheld blade that has been used since people first learned to hunt. It is concealable, efficient and versatile. The most modern knives are made with tungsten, the most durable of the metal alloys. They are manufactured with a pointed edge for stabbing, a sharp side for slashing and sometimes even a serrated trim to use as a saw. Knives are standard issues for all T.A.F. ground forces. The stun baton is a two part weapon. It is used as a club to bash one’s enemy, but also emits an electronic spark which disorientates both living and artificial beings. Stun batons are standard issue for law enforcement and Prometheus Security. They are retractable and lightweight for easy travel. The stun baton comes with a battery recharger and usually can be used one-hundred times before its battery must be renewed. The mace is a bludgeoning weapon which reemerged with the arrival of the Empyrean Legion. The modern mace is manufactured with liquid mercury that fluctuates in the head of the weapon when swung. This distribution of weight adds to the thrust force, smashing its target with ease. It also is made with tungsten, and nearly indestructible. The Empyrean Legion has manufactured millions of these maces and has designated them as the side weapon of choice for their high ranking knights. The spear has many variants, but its purpose is the same. 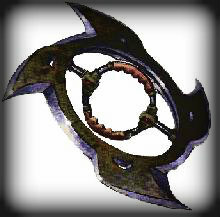 The spear used as an extended distance weapon that pierces its opponents from afar. It is ideal for stronger enemies, charging foes or feral animals. Modern spears are made of metal and have laser sharpened points for maximum piercing capacity. They are useful against lightly armored soldiers and mildly armored droids. Their edges can also be hallowed and filled with poisons for further injury. The spear is used by many pirate raiding parties to rush security forces who are attempting to block access onto their vessels. The spear may be used from 2 squares away with +5 added to their target difficulty. The sword has been around for thousands of years and is the symbol of bravery, strength and honor. A sword must be carefully crafted. It comes in many different shapes and sizes, but tends to be sharpened on its long edge(s) in order to slash its target. Some swords are also pointed at the end to pierce. The most up-to-date swords are made of tungsten and have edges which are filed with high-tech lasers for keenness and to avoid dulling. All Empyrean Legion members are issued modern swords upon their induction into the knighthood. The axe is a heavy melee weapon used for hacking at opponents. It was converted into a weapon by wood loggers in the early ages and used to hack through simple armors. The modern day axe is made of tungsten, the strongest of the Earth metals, and sharpened with a high-tech laser for maximum damage and durability. Its wedge shape is used to hack through armors, but is also versatile enough to cut through light metal doors and vehicles. The Bo Staff is an early walking stick that was converted into a weapon by the poor of many worlds. It was once fashioned out of sturdy wood, but now is often constructed of lighter metals for improved durability. The Bo Staff is made for bludgeoning opponents with its ends, but also makes for an excellent parrying and tripping device. Bo Staffs are also made with illumination capabilities, to help light paths and confuse enemies with its radiant display. The Bo Staff is an excellent weapon for explorers who can use the tool for various purposes. The bo staff may be used from 2 squares away with +5 added to their target difficulty. The Magnetic Disk Blade is an aerodynamic weapon meant for hurling at opponents, then, with a click of a button, returning to the user through a special magnetic host glove. The disk's sleek shape and vicious design make it a deadly piece of weaponry that must be used carefully as to not harm its possessor. After throwing the projectile weapon, the character can press a button on the Magnetic Host Glove (1 action), to allow it to return to their hand. Catching the disk back in the glove takes concentration (1 additional action, throwing check: DC Moderate) or else the disk blade can fly past its user or even hurt them. (IE: To throw the magnetic disk blade, activate its return, and catching the weapon in one round would take three actions and a successful moderate check).Those who perfect the art of Magnetic Disk Blade throwing are considered deadly opponents, feared throughou the Milky Way galaxy. Using the same technology made for Plasma Torches & Plasma Drills, the Plasma Saw is a deadly weapon due to its capability to cut through armors and tough surfaces with ease. The Plasma Saw was first carried on the battle field to help make quick barracks and trenches, but was quickly adapted to get through vehicle hulls and personal armor. Though it’s not ideal for all situations, the Plasma Saw is perfect for cutting through slow moving mech vehicles and ballistic shields. Because of its light weight design and plasma charged blade, it can be used by people who aren’t considered conventionally strong to deliver serious amounts of damage. The Plasma Saw works off of a plasma cell that can be recharged with its adaptor, but doing so takes 24 hours. Explosives, are one use weapons that are thrown using the throwing skill to hit. The character is not actually aiming at a person but, rather, a place. Explosives explode after their fuse burns up and they damage everything in a given area. When throwing at a specific area, refer to the Grenade Targeting chart. If grenades miss, the GM refers to the scatter chart. Below is a diagram of how grenades work in combat. 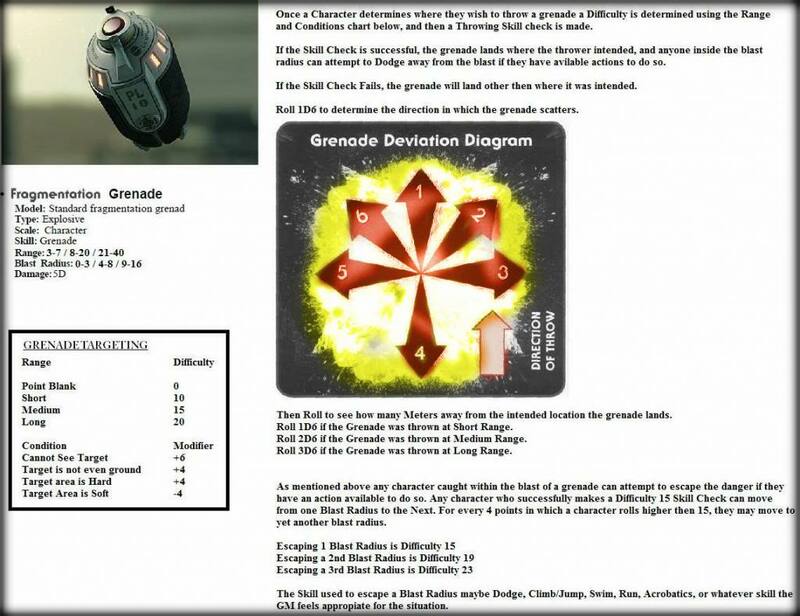 The grenade uses an explosive charge to send fragmentations of shrapnel out in all directions. While most vehicle armors are hardly affected by grenades, placed inside the vulnerable electronics of the ship is devastating. Smoke Grenades do not explode, instead releasing their contents through holes in the canister. The cloud they create quickly fills an area of 9.5 square meters. Armor provides no protection against this kind of attack, though a gas mask will. Both tear gas and smoke grenades give all within the blast area a -1D penalty to all Agility, Mechanical, and sight-based Perception rolls. AVAILABILITY: 2, R TYPE: Non-lethal Explosive SCALE: Character COST: 250 capital *Range equals the total in meters. Modifier is added or subracted from the total generated. Plasma grenades create a powerful wave of intense plasmic heat that destroys everything in the area. Plasma Grenades are extremely dangerous, but also expensive to produce. 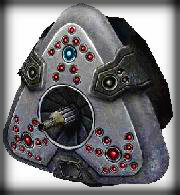 The trip mine is a deadly stealth weapon used to catch enemies off guard. Most times buried or hidden, the mine is fastened to the floor/wall/ceiling and activated when an invisible thin laser beam is disrupted. Spotting the mine is an easy difficulty unless hidden by the demolitionist. Disarming the Trip Mine is a moderate difficulty. The Weapon scope is a perfect accessory for users who want to extend their focal line of site with their energy weapon/firearm's designated reach. These scopes can be attached to a weapon with a moderate weapons repair skill check that takes 1 minute to securely attach. Using the scope takes an action to aim, then another to fire, but negates 5 points of range penalties. The Infravision or Ultravision Weapon scope not only helps the user negate range penalties, but also aids with the lack of natural light. 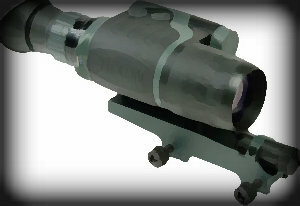 Each provides a +2 in a single version of this Special Ability to sight-based rolls while in dim or dark conditions.Scopes can have both types of vision for an additional cost, but take an action to switch to, and can not be combined. These scopes can be attached to a weapon with a moderate weapons repair skill check that takes 1 minute to securely attach. Using the scope takes an action to aim, then another to fire, but negates 5 points of range penalties. In 2525, ammunition has become more of a luxury than in eras past. Since most weapons now rely on expansive power sources, reloads are needed less often, but more expensive. All ammunition, be they laser battery packs or plasma energy cells come in various types depending on the class of the weapon. Weapons can only share ammunition with other weapons if they are of the same type (IE: Laser, Plasma, Slug, Gyrojet, Missle) and of the same class (light pistol, heavy pistol, heavy rifle, carbine). 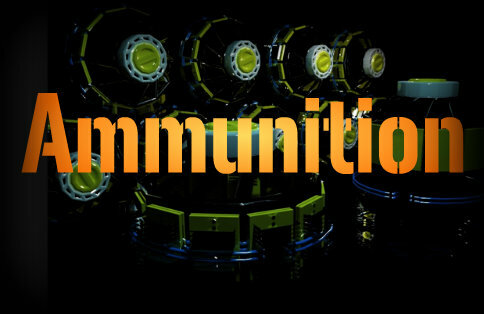 Below is a list of ammunitions, categorized by compatibility. All weapon ammunition has the same availability as the weapon itself.